Имате въпрос към Rompo Boutique Hotel? Разположен в Нощен базар, Rompo Boutique Hotel е перфектно място да почувствате духа на Чианг Май и околностите. Вълнуващият център на града е само на 2 km оттук. С удобното си местоположение хотелът предлага лесен достъп до всички градски забележителности, които задължително трябва да се видят. В Rompo Boutique Hotel отличното обслужване и достъпните съоръжения допринасят за Вашия незабравим престой. Хотелът предлага достъп до широк спектър от услуги като безплатен WiFi достъп във всички стаи, 24-часова рецепция, Wi-Fi връзка в общите части, паркинг, рум-сървиз. Дизайнът на хотела е съобразен с най-високите изисквания за удобство и комфорт, осигурявани от съоръжения достъпни в някои стаи като хавлии, стойка за дрехи, пантофи, телевизор с плосък екран, достъп до интернет (безжичен). Хотелът разполага с множество уникални възможности за отдих, като например градина. С превъзходните си удобства и отличното си местоположение Rompo Boutique Hotel е идеално място, в което можете да се насладите на престоя си в Чианг Май. 10-15mins walk to Sunday Walking Street. 5mins walk to tourist-favourite Ratana's Kitchen. 10-15mins walk to Chinatown/Mae Ping River area. Lots og tour companies in the area. Rooms are very small and basic. 4-poster beds. In the morning, the toilets tend to smell. It's the area's sewage system. Hotel staff burns essential oil in the bathroom to counter the smell. No English channels on TV. Reception staff is helpful. you can book this hostel for your stay in Bangkok. be aware that not all rooms are looking the same than in pictures but it really doesn’t matter as far as spending times in the city is what you came for and the rooms are good enough to get some good place and rest. other than that, this place is very good. breaksfast/food is good. staff is very nive and helping. location is good for you to explore the city without facing all the modernity. had a great time and will definitely stop by again. Staff was really friendly, after check-out we were allowed to leave the luggage there for a whole day. Breakfast ok, but not necessarily needed because of the many cafés in the surrounding area Great location only a few minutes waking to ancient city center, streetfood near by No mosquite net and room only little soundproof. Lovely little laneway accomodation in the perfect location with everything in walking distance but peaceful enough to escape the hustle and bustle. Cosy and clean rooms and extremely helpful staff who always greet you with a smile. Highly recommend! Pros - Good location: next to Night Bazaar - Helpful staff Cons - The room wall is so thin so that I heard noise of making love from my neighbor. - Breakfast is a set which does not always match the demand and it becomes a waste.. It should be a buffet so that people can choose for what they want. Rompo was really nice. The hotel itself was really cute and the staff very helpful and pleasant. I would recommend these accommodations to anyone who is looking for something simple and clean. Also! The walk to the old city was really easy. Rom Po is a self described boutique hotel that did not quite meet our expectations of a boutique hotel. There are only 2 or 3 power outlets in the room. They provided a hair-drier but oddly enought there was no power outlet to use it in the bathroom. When we asked staff how we suppose to use it, they pointed to the two outlets located diagonally from each other in the room. Neither had a mirror in its proximity and to use the hair drier one was expected to seat of the floor. The concierge was somewhat helpful, but when asked about local post office said that it was already closed (16:30 local time), we decided to double check and google the information and dis overed that the branch was open until 19:00. The water heater in the bathroom was not working properly and only after moving the dial in random order we somehow got warm water, that was not hot enough for comfortable to shower. The hotel is located on one of the small streets and you need a working map or (GPS) to find it. The room smells moldy. The decor is primitive and worn. Not recommendable. 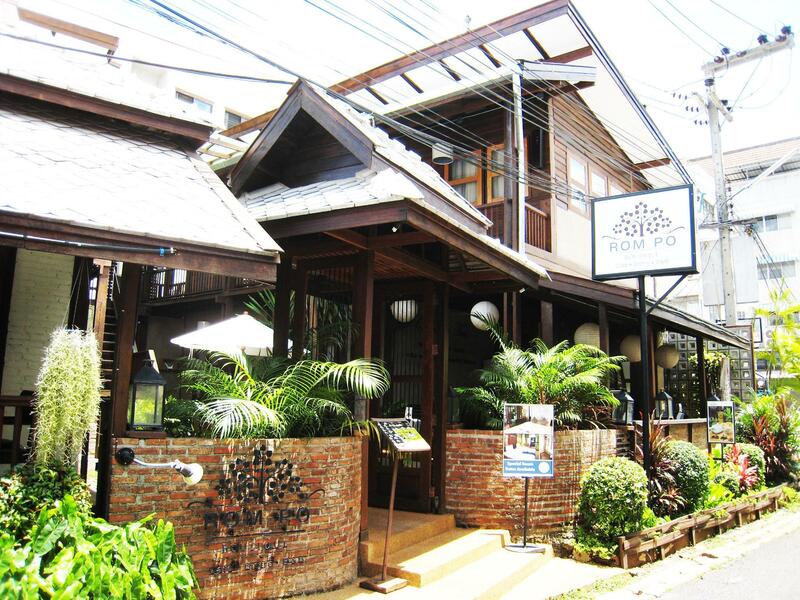 Authentic and cute Thai style boutique hotel. Location is great. Rooms small but basic. The only problem was the sewage smell from the bathroom. If they fix this we will definitely be back. I did not go to the restaurant or the bar. I only ever saw a one couple taking advantage of the quite space. If you want to get away from the crowds this is a great place to go. The location and the atmosphere is great, very good food and super friendly staff. The resort is located in a quite area even it's not far the the main road, the night market and all temples. The only negative...the girl which is working in the restaurant/bar. She is unfriendly and moody, if you complain about that, she's getting aggressive. We didn't mind much about that but the management should think about it, to move her to a place without customer contact, she have the potential to destroy the very nice atmosphere in that lovely place. Love the design of this hotel. Different from the modern style hotel type. Location is out from the old town, but not far by walking, and you can find restaurants and bars along the way to old town. Read some comments about mosquitos and noisy, but we did not experience any during our stay, it was a peaceful and quite place. And some comments say about smell from toilet blow, which not so bad, we only feel a bit in the morning, no issues. Easy access to Thapae Road & Night Market area. Surprisingly quiet for location. Friendly staff - Barman was great guy. Small cosy rooms with good bathrooms. Some PowerPoints at desk height would have been useful. Existing PowerPoints difficult to access. No offstreet parking available for those of us on a motorbike or driving a car. Overall, a cosy comfortable small hotel in an excellent location. It's my 3 time in this hotel.amazing staff (Mr Beer and Kiko )location is 5-10min walk to the Thape gate and 10-15min walk to the night bazar. Very good place.you have change point Pier at the corner of the hotel best place. Nice decorated basic rooms. Fridge, TV, daily cleaning. Perfect for me. Located between both the old town and nightmarket on walking distance (10-15 mins) No swimmingpool, which could make it a real hidden gem. It's my second stay here, I like the place. Quiet and convenient. Best hotel i ever stayed! I am so loving the architecture. Exactly what i am looking for, a small gem in shangrilla. 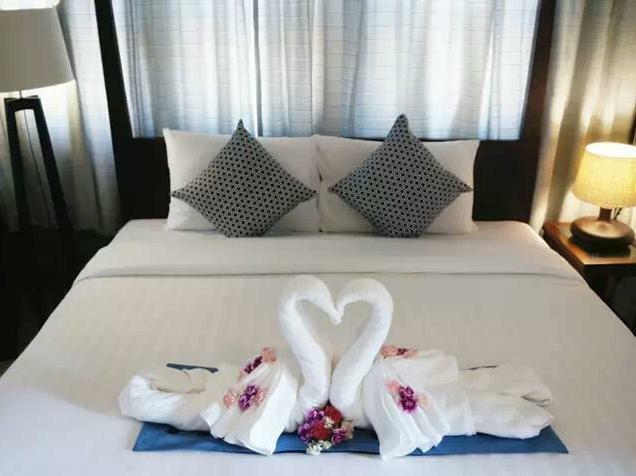 The aircon is perfect, the bed is comfy, satellite tv, average water pressure, shower amenities, super friendly hotel staffs, located nearby tha pae gate (sunday market is mandatory) and night market, safe environment. Beware of mosquitoes, plenty in this city. Too bad no coffee/tea provided in the room and price excluded breakfast. Really feel comfortable and homely. Location is good, 5 mins walk to night bazaar and Thae Pa Gate / Sunday Walking Street. Yes there is a foul smell in the washroom, but it is still bearable. Smell tends to be more pungent in the morning. Room is small but still lovable and value for money. Don't be deter but the "open" concept of the room, when you draw the blinds, it is virtually impossible to look into the room. Overall a satisfactory stay in Rompo. From this location, me and my girlfriend were able to walk all around chiang mai. The room was a nice change from a typical hotel room, i especially like the polished concrete floors since they stayed nice and cool.slept like a baby for the 3 nights i was here.